Over the course of a few days Mr Zahir Shah, from the MFI UK team, and Mr Hakeem, from Afghanistan, went to Helsinki, Finland, in the southern capital. To set out to promote the Divine Signs of the Awaited Ones, Lord Ra Riaz Gohar Shahi and Lord Jesus Christ that are visible on the Moon, as seen on the poster. 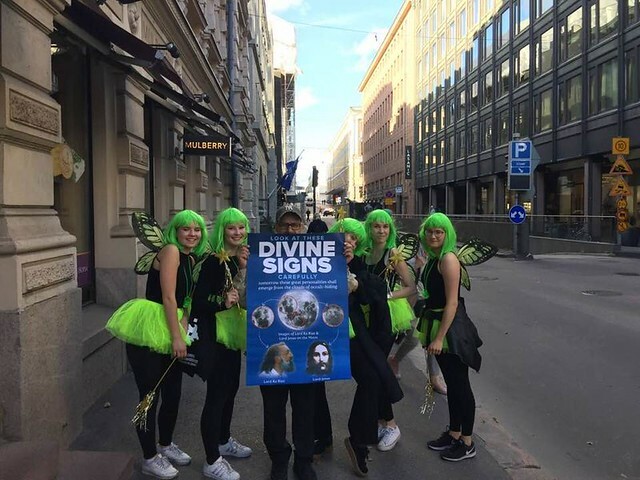 They went to various busy public areas in Helsinki to promote the Divine Signs. People had taken interest in the message. To find out more about the Divine Signs, visit our official website, The Awaited One. You can also tune in to our official live programme, Sufi Online on ALRA TV, broadcasted with Younus AlGohar on Youtube every day at 10 PM GMT.